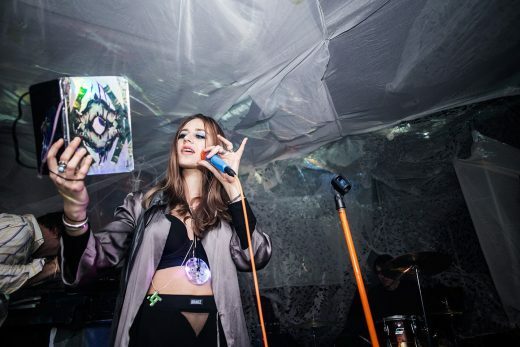 In December 2016, we spoke with artist and curator Julia Sinelnikova (known in some circles as The Oracle) about her festival CHASM, which intended to be four days of music, multimedia art, DJ sets, and more in a secret, industrial East Williamsburg location. However, four days became just two—it was cut short out of fear of a raid, as the city was in the midst of increased crackdowns on DIY spaces following the deadly Ghost Ship fire in Oakland. That didn’t stop Sinelnikova from continuing the event series, turning it into a biannual affair that has graced venues such as Knockdown Center and penning an op-ed about her experience for Vice. Tonight, Chasm‘s fourth edition will be unveiled at new Bed-Stuy space Refuge Arts, featuring immersive multimedia art, performance, music, and more. 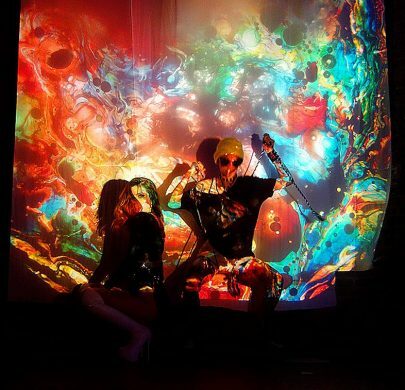 More specifically, Chasm has a focus on exhibiting “light art,” such as holography and sculptures crafted from lasers. “I believe light art is the future: minimal, weightless tools transforming physical space into alternate realities,” Sinelnikova tells me in an email. She creates light art herself, and “know[s] firsthand how difficult it is for galleries and festivals to produce these works,” due to the need for special equipment and/or lighting requirements. Thus, she’s prioritized this type of work in her own curatorial endeavors. Tonight, Chasm kicks off with performances by Richard Kennedy’s band HIR and Church Goer, DJ sets by FXWRK and Lauren Flax, a “knife performance” by queer nightlife presence Pauli Cakes, and more. 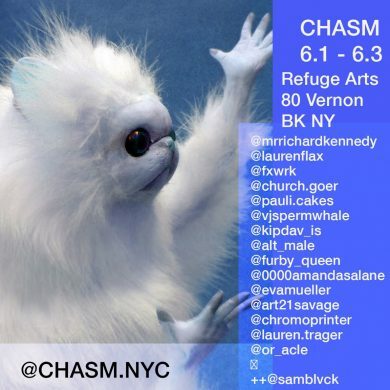 Chasm’s opening happens tonight from 7 pm to 2 am at Refuge Arts, 80 Vernon Avenue. The exhibition runs through June 3.